The bubble stickers are from FM. The bubbles are large and med circle punches. 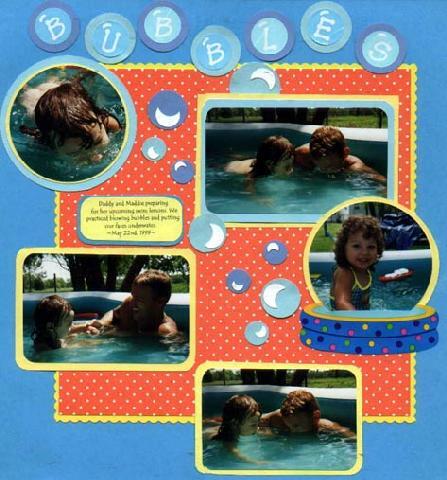 dh was kind enough to point out that bubbles get larger as they reach the surface thus saving me from massive humiliation in the scrapbooking community! Whew! That was a close one!